Pi Stones are symbolic of our luminous bodies and the energetic universe. Their circular shape represents the archetype for �wholeness.� They represent the ouroboros, serpent of light, swallowing its own tail, constantly creating itself and forming a circle. They symbolize the eternal unity of all things, the cycle of life, death and rebirth. The center represents our energetic spine, Kundalini energy, that flows through the center of our bodies. Kundalini energy is symbolic of our own spiraling DNA and is associated with the serpent of light coiled around the base of the spine (root chakra) approximately 3.142 times. When it is awakened, it spirals up your spine like a figure eight around each of your seven chakras, creating a never ending loop, opening you to higher levels of consciousness. Pi stones are typically gifted after receiving the last of the nine Munay Ki Rites. They are also used when passing the rites on to others. Although not essential, many Munay Ki recipients also like to have their own stones, as a reminder of the rites and as an aide in connecting with the energies. 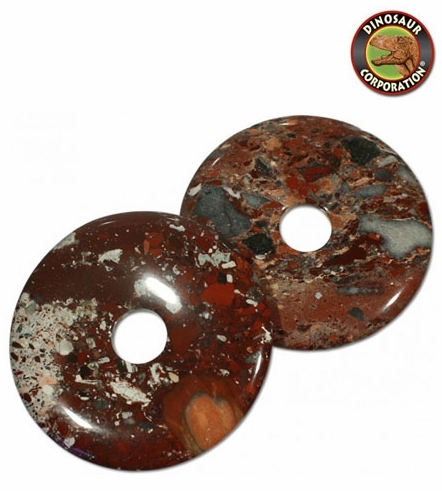 The color of jasper stone may vary.